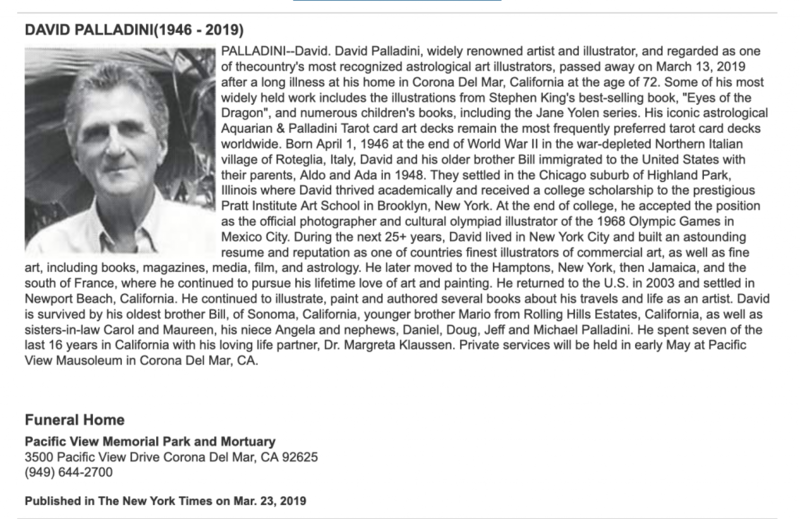 Now that the family has published the obituary, I am able to share the sad news of David Palladini’s death on March 13, 2019. He died peacefully at home in the early hours of the morning, having received devoted care from his home hospice caregivers the last few weeks of his life. I offer deepest condolences to his partner, Margreta, and his brothers, Mario and Bill, as well as David’s other family members, and the large number of people all over the world whose lives have been touched by David’s inspired, soulful art.